Monday, how dare you greet me with such a forcefully rude nature. Every week you Kramer your way into my serenity. Reader, rerhaps this is your experience with Monday’s as well and perhaps I have something that can help. I remember back in 2004, not when they premiered of course, but back in 2004 with Pinback released Summer in Abaddon I had a hard time listening to much else. “Non-Photo Blue,” “Syracuse,” “Bloods on Fire,” were my soundtrack. I didn’t understand why this wasn’t everywhere, how TV, Movies and commercials hadn’t crowned this band like they later did with Alexi Murdoch, Sleigh Bells and most recently The Lumineers. Then The OC came along. Pinback, hasn’t released a full length since 2007’s Autumn of the Seraphs. However, last week the buzz picked back up. 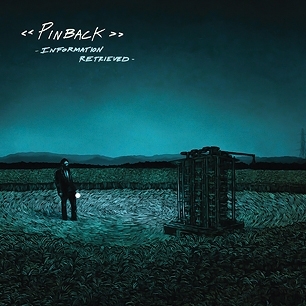 In promotion of their October 16th full length release Information Retrieved, Pinback, dropped “Proceed to Memory” on us. It’s an upbeat track, and as Rob Crow’s voice reaches an emotional apex at 1:55 “Proceed To Memory” took me back to those chilly wet sidewalks of Boston, Massachusetts trying my damnedest to avoid getting hit by the speeding Harvard Medical bound BWM as it circled The Fens on my way to work. At 3:09 and 3:16, like Jimmy Fallon breaking character, which is really just saying “like Jimmy Fallon being Jimmy Fallon,” Crow’s voice breaks, or quivers, maybe it’s even a slight laugh – I’m not sure what it is, but it’s imperfect, and I really, really like it even if it’s an illusion. It’s as if he lost himself for the slightest of moments in his own music and something natural, something imperfect came out. I’m looking forward to listening to more of this over and over again once October 16th comes. 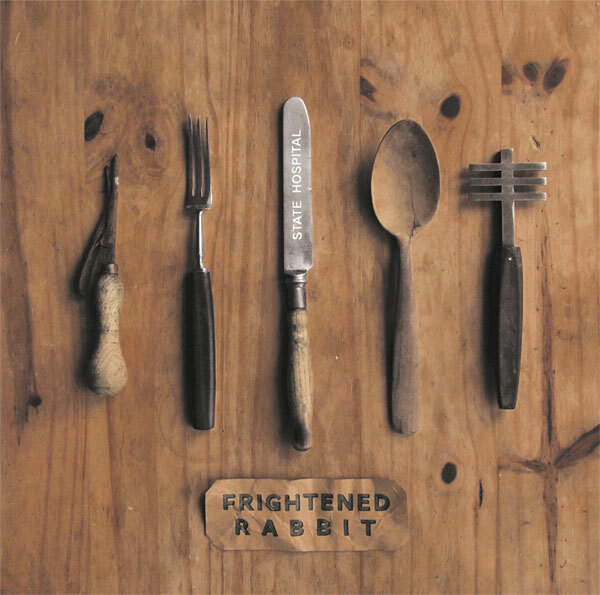 Admittedly I joined on the Frightened Rabbit wagon very, very late. Not because I didn’t enjoy 2007’s Sing The Grey’s or 2008’s The Midnight Organ Fight and Liver! Lung! FR! It’s that I didn’t even hear the Scotsman until 2010’s The Winter of Mixed Drinks. That’s not easy to admit by the way, but it’s honest. “State Hospital” starts with Scott Hutchison sounding, arguably, and I will argue this, his most Scottish. The accent is out in full force as is the heavy story he’s telling. A young girl is born into poverty to a neglectful mother and never had a fair chance at a good life. She leaves and runs to the arms of a young boy her own age who treats her terribly. Physically assaulting her. A little older, and now away from her adolescent assaulter, she finds herself once again in an abusive relationship, this time with an older man in an effort to stay afloat.